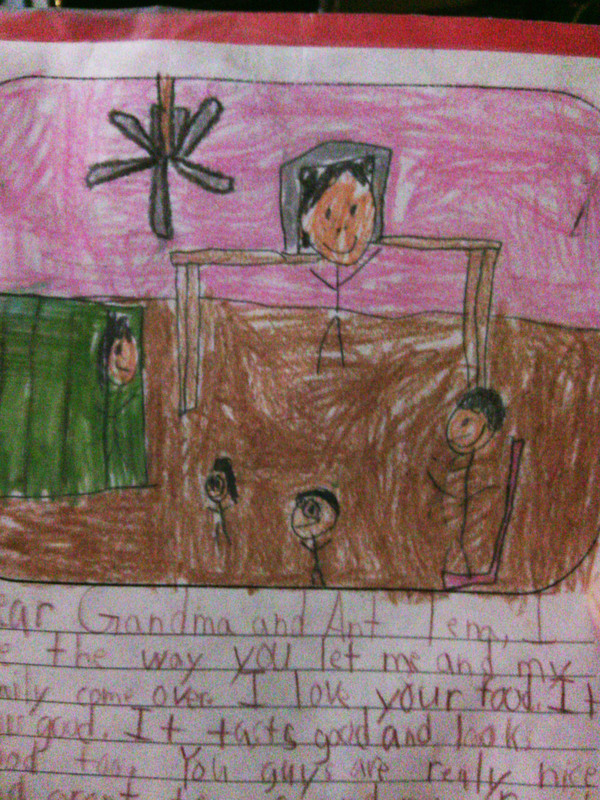 More than a decade ago, my handsome nephew wrote an assignment for grade school that was mailed to his grandmother (my mother) and me by my sister, his mother. My mother treasured this writing as much as I did and I still keep in on my refrigerator so that I am reminded of the pure love offered by a child. My sister, generously, allowed her three kiddos to visit my mother and I every summer. I and my mother had moved about three hours away from them when I took my first teaching position. I always tried to make the time they spent with us the best time ever in an attempt to make up for all the time we didn’t get to see them. My younger sister and her husband moved next to us for a short time so we were privileged to see her four boys grow a bit before they moved far away. Joshua is my nephew who is the author of the following writing and he is graduating high school this year. He is the youngest son of my eldest sister and I must admit that I spoiled my niece and nephews rotten as I could not love them any more if I were their mother. I love all my nephews and Nieces, very much indeed but this is the only permanent reminder of the innocence expressed when love breathed. I have not changed his spelling or grammar as it adds to innocence. I hope you enjoy the brief writing as much as I do. I love the way you let me and my family come over. I love your food. It Smells good. It tasts good and looks good too. You guys are realy nice and great to me and my family. You are the Best. And you are Aswom.